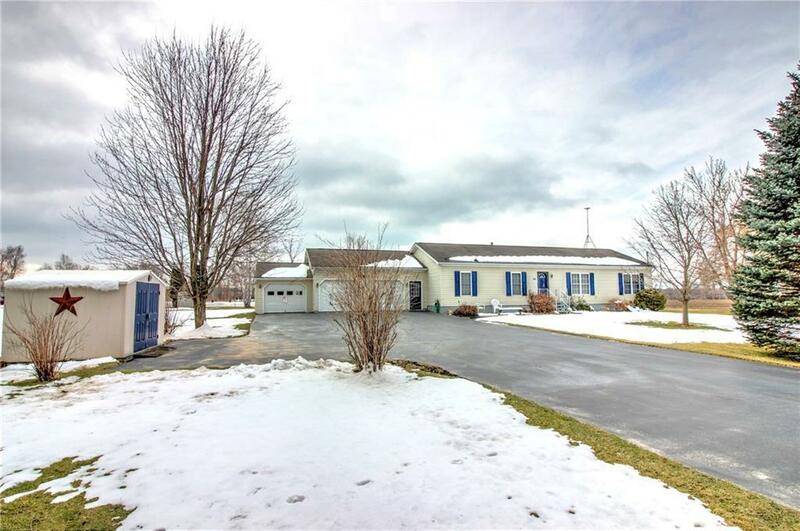 588 Marshall Road, Waterloo, NY.| MLS# R1109174 | Coldwell Banker Finger Lakes | 315-789-6768 | Geneva NY Homes for Sale, FINGER LAKES PROPERTIES, Seneca Lake, Cayuga Lake, All of the Finger Lakes. Do not miss out on this 3 Bedroom 2 full bath Ranch situated on an acre of land . This home also includes a family/den area, heated sunroom, a full 12 course basement and a 3 Bay Garage. This home will not last! Directions To Property: Head East On Us 5&20. Turn Right Onto Ny 96a South. Turn Left On West River Road. Turn Right Onto Marshall Road. House On Right Hand Side.